Sky has joined TalkTalk's business arm Opal Telecom in complaining about the price of BT's local loop unbundling, according to Ofcom's latest bulletin. Opal is currently in dispute with Openreach – part of BT – about its LLU pricing, and Sky has now made a similar complaint. Ofcom has decided to treat the two complaints as a single dispute and has stated that it is prepared to handle the argument. 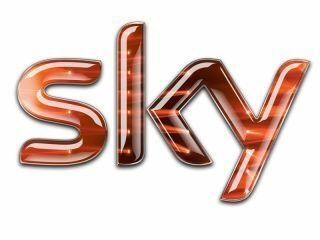 "Following publication of the original Competition and Consumer Enforcement Bulletin entry relating to a dispute between Opal Telecom and Openreach, we received a further dispute submission from British Sky Broadcasting Limited (Sky) dated 8 April 2011,"stated Ofcom. "We consider Sky and Openreach are in dispute in relation to the same charges and have exhausted commercial negotiations on this issue. "We therefore consider that a dispute exists between Sky and Openreach that falls within the scope of section 185(1) of the Act. We have decided, pursuant to section 186 of the Act, that it is appropriate for Ofcom to handle the dispute. "We consider that the principal issues in dispute between Sky and Openreach are essentially the same as the issues we are already considering in the LLU charges dispute. On this basis, we consider it appropriate to join Sky as a party to the LLU charges dispute." The case remains open, but Ofcom's decision will be of great interest within the telecoms industry.